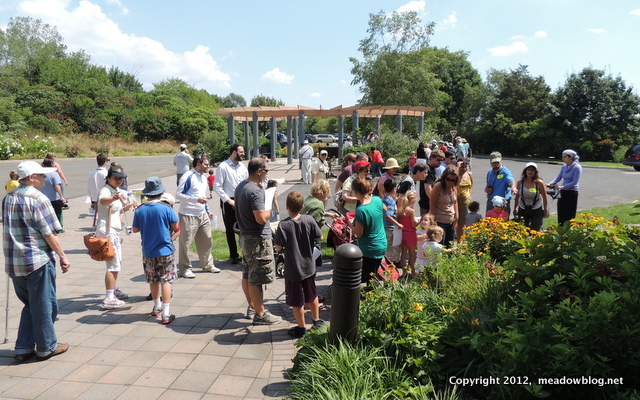 A huge thank you to everyone who participated in our third annual Butterfly Day. We had 21 species of butterflies, and hundrds upon hundreds of terrific people. We will post a full list of butterflies this week. 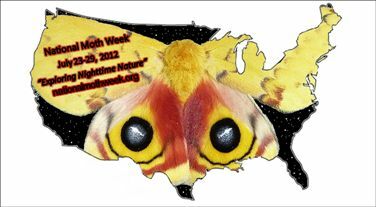 Moth Night is Almost Here! As part of National Moth Week, we are having our first-ever Moth Night at DeKorte Park on Wednesday, beginning at 8:30 p.m.
We'll have a short talk by David Moskowitz, a co-founder of National Moth Week, who is bringing two awesome light set-ups to attract moths from all around. Says Dave: "We will set up lights and a free-standing sheet near the butterfly garden and a second one down the parking lot a bit and run it off my generator. One of the light setups is an amazing one that Todd Dreyer — one of the NMW team — built. It has a 400 watt mercury vapor light. It should be great!"